Bats are the only mammal that can truly 'fly'. 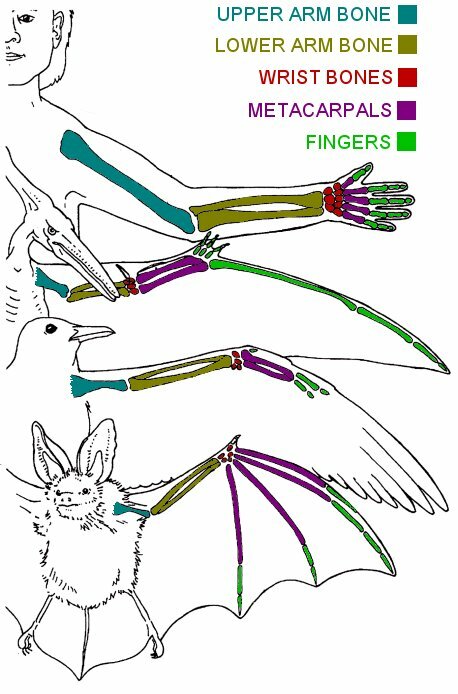 In fact their Latin name Chiroptera is made up of two Greek words meaning hand (cheiros) and wing (pteros). Other mammals such as some flying squirrels may glide but they are unable to progress upwards and will finish up at a lower height than where they started. Bats make up about a quarter of all the species of mammals on Earth with more than 980 different species worldwide. Most species inhabit the tropical and subtropical areas of the world but bats are found on all continents except Antarctica where, to date, no bat fossils have ever been found. Being mammals they have fur and raise their young on milk from mammary glands. Mammals (and birds) regulate their internal body temperature from within i.e. they are endothermic. When it gets too cold they generate heat by the oxidation of food (think of it as burning) to provide energy. When it gets too hot most of them dissipate heat by the evaporation of their sweat or saliva. The whole process, which is called homeostasis, is regulated by a part of the brain in the hypothalamus. 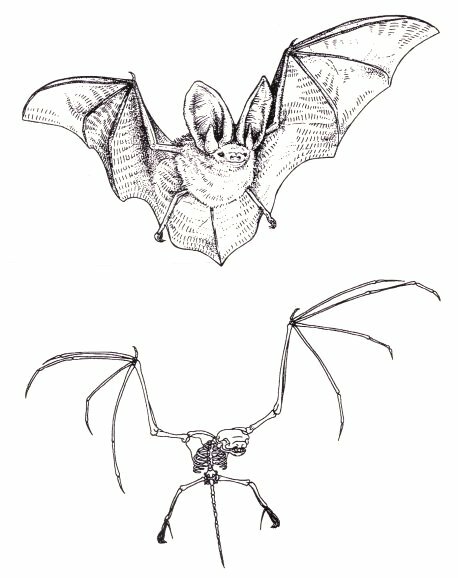 Bats are very rare in the fossil record as their skeletons are small and light and hence do not preserve well, especially in tropical conditions. The first fossil remains that hint at being from bats are some mammal teeth from the Paleocene era (65-55 million years ago). The next bat fossils start turning up in the Eocene era (57-35 million years ago) and these are complete skeletons that resemble modern-looking Microchiropterans. The oldest known fossil from this period (Icaronycteris index) has been X-rayed and shows specialisations of the auditory region of the skull suggesting that it could echolocate. It was found in the Polecat Bench rocks of Wyoming in the US. Similar specimens have been unearthed in oil-shale pits at Messel near Darmstadt in Germany. The Messel fossils show an amazing amount of detail due to the fine-grained rock and chemical conditions of the site. Under the electron-microscope the pollen on the wingscales of the moths that were the bats last meal can be seen. The oldest Megachiroperan fossil was found in Italy and comes from the Oligocene era (37-34 million years ago). The smallest bat in the world is Kitti's Hog-nosed bat (Craseonycteris thonglongyai) also known as the Bumblebee bat. It gets its name from the shape of its nose, which appears to be mounted on a raised platform and has slit-like, vertical nostrils. It comes from Thailand and Myanmar (Burma), lives in limestone caves and eats insects, using echolocation to find its way around and to catch food. It has a wingspan of 15cm and weighs a tiny 1.5 to 2 grams. It was only discovered in 1974 and it is on the list of endangered species. The largest bat in the world is a large flying-fox bat with the Latin name Pteropus vampyrus but don't worry it's not a vampire - it eats fruit, flowers, nectar, pollen and leaves! It has good eyesight, a huge 2m wingspan and weighs in at a whopping 1.2kg. It is found in S E Asia and there are many subspecies. It is hunted for food by humans and in Malaysia has been identified as a "reservoir" for the Nipah virus which can cross from domestic pigs to humans. It is not popular with fruit farmers and being on the menu as well as the destruction of its forest home has meant that the species is now classed as threatened. Vampire bats really do exist, but today there are only three species and they live in Central and South America. As recently as a 20 to 30 thousand years ago they used to be much more widespread appearing in such places as northern California. There has been a remarkable arms race between bats and some prey, such as moths and lacewings. Noctuid moths can sense the distance (judged by the volume) and direction (by comparison of sound reaching two sound sensors on opposite sides of its thorax) of an attacking bat. The moths can then retreat or in the case of lacewings (Neuroptera) escape by closing their wings and nose-diving. Some Noctuid moths have 'stealth' scales that appear to render them invisible to sonar. Some moths may produce ultrasound to jam the bats' echolocation system. Others such as Tiger (Arctiid) moths are unpalatable and produce ultrasound themselves, possibly to warn bats to avoid them. When they hear a bat homing in on them these moths produce clicks which are remarkably similar to those made by a bat closing on its prey. The bats respond by veering away.